This will be a night of food, fun and fundraising to support the ongoing work of Wild Trails, Chattanooga’s Trail Protection Nonprofit. In addition to the many trail races organized by Wild Trails each year in the Chattanooga area, you might not know about all of the trail building, ongoing trail maintenance, community outreach programs, and creek clearing projects for paddling that Wild Trails funds and organizes in our region. 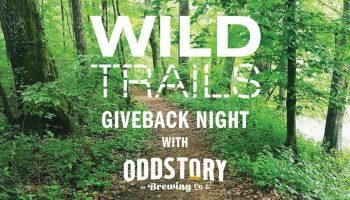 Invite your friends and come out on Thursday, September 28th to learn more about the mission of Wild Trails, how you can get involved, and to just have a great night with us! We will have food from Lupi’s, beer from Chattanooga Brewing Company, Juggling Lessons from the one and only Randy Whorton, an Acro Yoga demonstration with basic intro class from the AcroSprites, Slack Line Competitions, and more! A $25.00 (pay at the door) donation to Wild Trails gets you all of this fun plus 2 pizza tickets and 2 beer tickets. Can’t join us on Sept 28th but still want to support to Wild Trails? We’ve got you covered. You can donate securely online at https://wildtrails.org/donate/. Thank You! 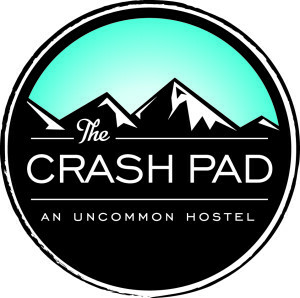 Big Thank You to The Crash Pad for hosting this fundraiser and for your continued support of Wild Trails. If you’re coming to Chattanooga for vacation, work or to run one of our races, this “Uncommon Hostel” is the place to stay.